Walter Jon Williams is the author of several novels and short stories (which have been nominated and won The Nebula, The Hugo, and The Sidewise Award for Alternate History). His latest novel is Implied Spaces. Hi! Thanks for agreeing to do the interview. I'd like to first talk about your latest novel, Implied Spaces. How did Night Shade end up publishing it? Was the novel stuck in a drawer somewhere and you pitched it to the various publishers or did Night Shade Books approach you? Implied Spaces is by no means a trunk novel. I pitched it straight to Night Shade, after Jeremy and Jason approached me and told me they were enthusiastic about my work. There were other publishers interested, but I appreciated Night Shade's enthusiasm. They put together the largest advance that Night Shade had ever offered, and also brought some of my backlist back into print, so it was very much a win/win situation. What was the inspiration for Implied Spaces or rather what made you start writing it? Did you already have an end in mind when you started out or did it evolve during the writing process? I always know the end before I start. That way, there are fewer disappointments for everybody. I had been getting a little frustrated with the limitations imposed on modern American SF, and I decided that I wanted to do Big Idea science fiction, and so I reached for some of the biggest ideas I could find in the field of science fiction, of cosmology and teleology. And then I made bold to answer them. The book has a lot of nods to what's been previously established in science fiction. Can you name some of your favorite authors/books and how they helped shape the novel? It's true that some of these ideas have been around for a while, but also I've been around for a while writing about them. I first wrote about the Singularity in "Flatline" (1988), but it wasn't called the Singularity then because Vernor Vinge wouldn't publish his famous essay for another five years. Hardwired (1986) dealt with the transfer of consciousness into cloned bodies, and its sequel "Solip:System" had to do with deliberately rewiring the human mind to create new political allegiances. "Dinosaurs" dealt with posthumanity, and "Lethe" (1997) concerned itself with immortality, space travel, and the process of history. So in a way, Implied Spaces is another look at ideas that I've been working with for years. In your opinion, how has our concept of Artificial Intelligence evolved over the years? Right up till the 1980s, SF envisioned giant mainframe computers that ran everything remotely, that ingested huge amounts of information and regurgitated it in startling ways, and that behaved (or were programmed to behave) very much like human beings. Consider 2001's HAL, or Shalmanezer from Stand on Zanzibar. Now we have 14-year-olds with more computing power on their desktops than existed in the entire world in 1960. But computers in fiction are still behaving in much the same way as they did in the Sixties. That's because in fiction AI has to follow the laws of dramatic logic, just like human characters. They have to be able to communicate, they need personality in order to define themselves, and they have to interact with the human characters. The trick isn't in writing AIs, it's in making dramatic necessity somehow plausible. Implied Spaces seems like a fully fleshed out setting and you leave yourself room for expansion by the time we reach the end. Do you plan on revisiting the world in the future? I have ideas for sequels, but not for a direct sequel. There's no way I could answer the questions proposed by the novel's end and not have the answer be a grand disappointment. So I'd rather sidestep and go on with the world I've created. You're someone who's written for various genres and mediums over the years. 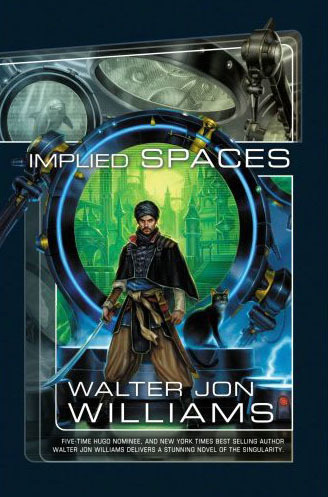 For me, Implied Spaces crosses into other genres as well (for example, the first few chapters of the novel reads like high fantasy or space opera, depending on how you look at it). Would you say the book is a culmination of your previous experiences? Everything I write is a culmination of all my previous experience. Everything I write is practice for something else. I'm lucky to have developed a lot of technique over the years, and to have a flexible style that I can adapt to a lot of different scenarios. I'm lucky in that I can keep myself from being bored, and I hope I keep the readers from boredom as well. Moving on to your other work, how did you get your start in the industry? Pretty much the same way everyone does. I wrote some stuff that didn't sell, I worked some wretched jobs, and I kept on smashing my head against the brick wall of publishing until the wall fell down. My first sale was a multi-book series of historical sea-adventure stories, of which I wrote five before the market for historical fiction completely collapsed. Then it was back to writing stuff that didn't sell, and smashing my head against a whole series of other walls. Eventually I sold an SF proposal that had been sitting unread on various editors' desks for three years, and found I had a new career. You've written for various genres and sub-genres. What are some of the challenges (either writing-wise or career-wise) in doing so? Do you think genre should be so delineated? The challenges of doing what John M. Ford called "subgenre-busting" is that your audience may not follow you from one project to the next. That seems largely untrue in my case--I seem to have developed an audience that will chase down my next book, whatever it may be. I should point out that I hate the whole concepts of genre. My reading is all over the map, and I don't see why my writing should be confined only to books with rocket ships on the covers. If I have a great idea for, say, a mystery, it seems unfair that I'd be considered a new writer in the mystery genre, and that I'd get paid maybe a tenth of what I'd get for the next SF novel. Putting up all these artificial walls between genres is a bar to creativity as well as being just annoying. The other week I had a reading at a law office, for heaven's sake. A law office, invited by the one lawyer who was a fan. I read in a boardroom full of lawyers and their aides, and they really liked the story. But my guess is that none of these people, barring the one fan, have ever been in the part of the bookstore where science fiction is shelved. How do we reach the people who are SF readers but don't know it? I wish bookstores just had a "Damn Good Book" section. They could put my books there, and I'd do perfectly well. What's one genre or field that you love writing for? How about one genre or field that you'd like to explore further in the future? Oh, I'm definitely an SF guy. If I wrote anything other than SF, it would still be written by a person with an SF sensibility, and it would stand out from other books in the genre as if someone had painted zebra day-glo stripes all over it. The genre that I really want to get into is the "massive mega-bestseller" category, the one that people like Rowling and Stephen King belong to. I think I could be very happy there. 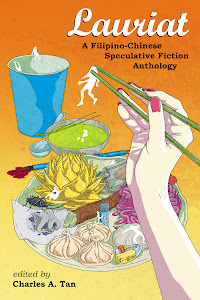 Of your other published work, what's the most challenging book/fiction/series you've worked on? Why was it the most challenging? The most challenging book was The Rift, which is a near-future disaster novel. I was stuck with actual reality--- I couldn't just make stuff up, like I usually do. When I had my characters drift down the Mississippi on a raft, I had to get the official Corps of Engineers map of the Mississippi and trace out the route on it. If I'd set this on another planet, I could make the course of the river follow dramatic necessity--- there would be encounters and incidents only when they made good narrative sense. But instead I was looking at the map and saying, "Oh crap, there's Helena! I have to set a scene in Helena!" So that's what I'd do, and the book ended up being enormous and a year late. I wish I'd just thrown the damn map away. In your opinion what is the biggest change the publishing/writing industry has faced? In reaction to the sales collapse, editors are being forced to buy much more conservatively, hoping to hang onto their old audiences instead of looking for something new. That pretty much puts a cap on creativity. In addition, there are only five big publishers left in the country, and four of these are owned by foreign companies. I hope the whole goddam thing burns down, so that a publishing phoenix can rise from the ashes. I'm an RPG geek so I want to ask how did you end up writing games? Just like I ended up writing novels. I just did it. How different/similar is writing games as opposed to writing fiction? Games are much easier. You just have to keep things in a reasonably logical order, so that the players can follow the logic of the game/scenario. With an RPG, the gamers provide the characterization and the plot for you. In fiction, that's what the author sweats over. In the case of Hardwired, was it a case of you publishing your story bible (do you keep story bibles?) or did you have to come up with a lot of new material for R. Talsorian Games? Writing the RPG was downloading the information I already had in my head. I know a lot more about my characters and my creations than I ever put in the books, and though I usually don't have a formal bible, but instead scribbles on a legal pad or a bunch of disorganized notes stuck in a text file, I can access that and stream it onto the paper with relative ease. Do you foresee any of your other works becoming games in the future, whether the pen-and-paper variety or video games? I'd be happy to see more of my stuff in the gaming world, but I don't have time to do it myself. If a game company is interested in my work, I'm not hard to get a hold of. What kind of writing did you have to do for Last Call Poker? I can't get into specifics, because my work on LCP is covered by a non-disclosure agreement. But let's just say that I did an amazing variety of stuff--- I wrote prose, movies, puzzles, radio plays, and comic books. The deadlines were fierce, but the people I was collaborating with were brilliant, and it was incredible fun. Do you still have time these days to play video games and RPGs? What are some of your favorite games? I've been hanging with the same RPG group for twenty years or so. A lot of them are SF writers--- George RR Martin, Melinda Snodgrass, Daniel Abraham, Jane Lindskold, and the late Roger Zelazny. I run a game set in ancient Rome that's gone on for over ten years. As far as video games go, I've learned that I can always trust Sid Meier. I play Civilization and even Antietam, which is a game originally intended for Windows 98. It doesn't have the nifty graphics a more recent game might possess, but it's simply terrific as a game. There's no excuse for ignorance about publishing any longer. All you need to know is on the Internet. Start with sfwa.org and their amazing catalog of good advice. How about advice for aspiring game writers? The same advice works for game writers, actually. What are the other projects you're currently working on? My recent projects seem to have a gaming context. I scripted the online game Spore, which will be released the first week of September. That game is going to be huge. I've also completed the novel This is Not a Game, a near-future thriller set in the world of Alternate Reality Gaming. My experience with Last Call Poker certainly came in handy with this book. It will be out in March, and my editor tells me there may be an online game connected with the book. Me. Just me. I need people to buy my stuff and to tell perfect strangers how wonderful I am. I need to be interviewed constantly on the nationwide networks. I need people to buy my books as presents for their loved ones. All my books. What I really need is for the whole universe to be about me. Is that too much to ask? As far as impetus is concerned, how much coffee do you drink on a day of writing? Do you try to write a given amount a day, or do you just maximize whenever you get momentum? I've never read one of your books but I'll try to keep an eye out in the future. Usually I go for the dark, gritty, and soulful kind of stories. Good luck buddy and keep on fighting the good fight. Great interview, Charles! It's been some time since I was regularly reading WJW's books - the perils of living away from a good book store - but I really enjoyed his early SF books. Great interview. I tripped over WJW's books in the late '80s and actually got to meet him through my friend Jane Lindskold. I really enjoyed _Implied Spaces_, but - ah, I need to re-read the Praxis novels! Thanks for the comments! I'm just discovering WJW myself.